Whenever I walk by that stall, I am always tempted by the pasta. It looks so gorgeous! But the price tag always scares me away. Glad to know it isn’t as good as looks. I might try one of their other flavors without citrus oil in them sometime, but if I’m going to buy pasta at the market, I’d rather go to Delaurenti’s and get some of their imported pasta. 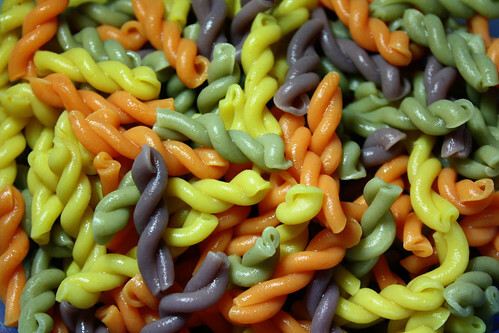 I got a box of cavatappi there last week that was amazing. It sure is gorgeous even if it’s not tasty! I love both of those pasta shapes and have had them in regular pasta form – the one used for the lemon noodles reminds me of long, thin lasgana noodles and makes me want to cut them up and make tiny lasganas! 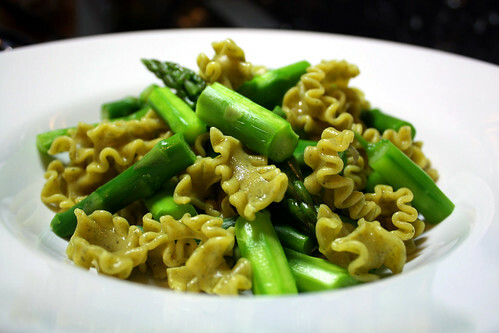 I love the shape of the lemon parsley noodles! 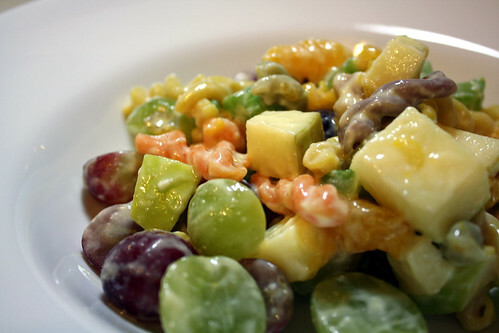 And the colors of the fruit pasta are beautiful! Thanks for the review. Yeah, they really are pretty, aren’t they? 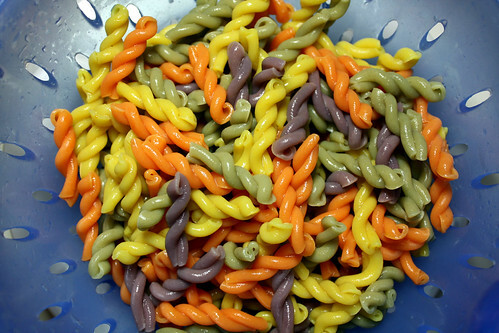 It’s definitely the prettiest colored pasta I’ve ever cooked.